If you’ve been in Thailand for a while or lived there your entire life, then you already know how treacherous Thailand traffic can get. Riding a car in Thailand is certainly not for the timid and the faint of heart, and this is even truer when riding a motorbike. However, there are some things you can do as a rider to reduce your chances of accidents and mistakes you should avoid if you want to get back home in one piece. 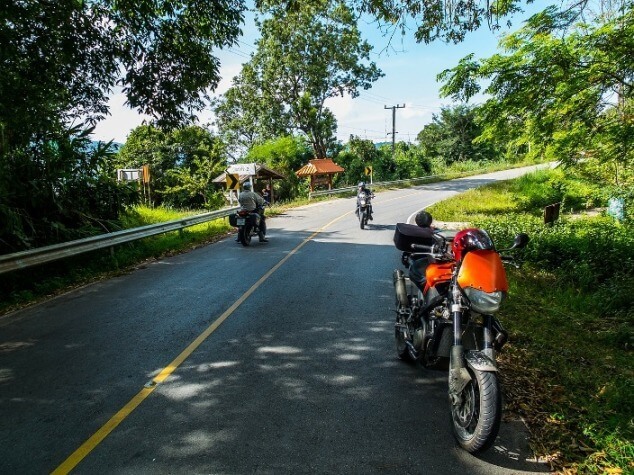 Here are some of the do’s and don’ts of riding a motorcycle in Thailand. The most important thing you should be aware of is that you can’t ride in Thailand without a national driver’s license. And no, not even an international driver’s license will save you this time. Don’t assume that you won’t get checked for a license either because you will, especially if you don’t look like a national. So, make sure that you get your license ASAP if you want to start riding a bike in Thailand. If you don’t have much experience, or even if you used to ride bikes back home, make sure that you wear protective clothing and a helmet at all times. This means wearing long sleeve shirts and pants when riding and avoiding flip-flops at all costs. And don’t look at other nationals as an example of what is acceptable either. Also, make sure that you buy a helmet that will actually protect you, not one of those flimsy helmets they sell for people who just want to get through checkpoints without being bothered. Don’t just pick a bike rental service just because it’s close to the beach or because someone around the area recommends it. If you want to rent a bike Phuket, there are tons of services that will allow you to connect with various rental services in the area. You just never know in what condition someone’s bikes are and if they’re safe to drive. So, don’t just rely on word of mouth recommendations and only go with reputable services. If it’s your first time riding a motorcycle in Thailand, then you shouldn’t jump right in the middle of the action and start riding in the crowded streets right in the middle of business hours. Start with back streets and try to ride when there’s less traffic. This will allow you to get acquainted with road conditions and you won’t be as startled when someone decides to cut you off out of nowhere or runs through a red light for no reason. If you manage to follow these few simple tips, you should survive your motorcycle riding experience in Thailand. Whatever you do, make sure that apply the same security measures you would anywhere else and always stay vigilant at all times.